It started with an angry tweet. But by Wednesday, the #MeQueer hashtag had morphed into a global online storm with thousands of LGBT people taking to Twitter to detail their experiences of verbal abuse, sexual attack, and physical violence. Schrewe told the Thomson Reuters Foundation by email on Wednesday that he had been moved to act by a telephone conversation between his husband and a colleague, in which Schrewe was described as his partner’s “buddy”. Last month, the British government published a survey of some 110,000 LGBT people, in which two in five said they had experienced verbal or physical violence in the past 12 months. According to British LGBT rights group Stonewall, 53 percent of trans people, aged between 18 and 24, suffered some form of abuse over the same period. 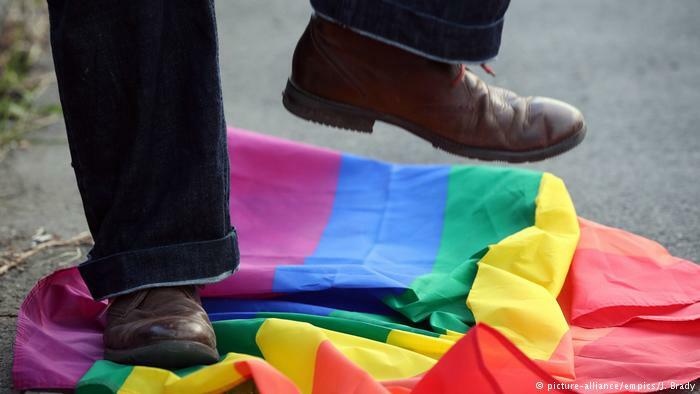 A spokeswoman for Brussels-based LGBT rights group, ILGA-Europe, said that over the Summer there had been reports of attacks on gay communities in Northern Ireland, Greece, Armenia and Lithuania.